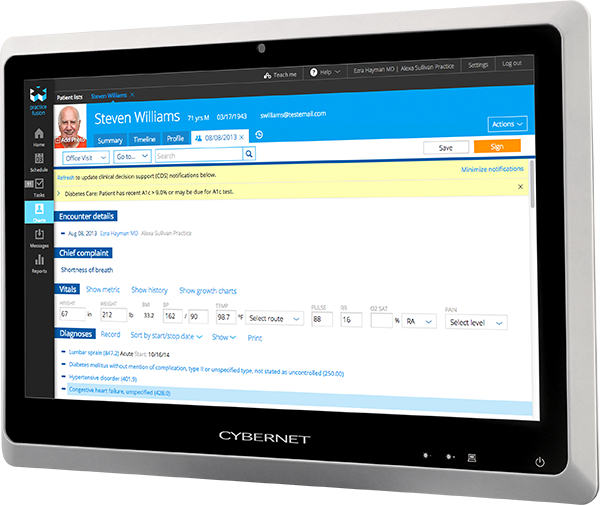 IRVINE, Calif. – May 11, 2016 – Cybernet has expanded its product line and is now offering two Medical Grade LCD Monitors, one in a 22” size and the other in a 24” size. Not only are the new monitors compatible with pre-existing systems, but they are also a safer, cleaner alternative to traditional monitors. They are great for use in a variety of environments, including hospital operating rooms, endoscopy, PACS and more. These new units can be used with any Tower PC or mini rugged computers. They come equipped with PCAP Multi-Touch Screen, which allow for customized touch features, as well as a PS MVA LED Panel which provides a better viewing angle, and antiglare technology to help reduce reflections and prevent eye strain. “When used with one of our medical grade all in one computers, the monitors will be identical rather than having mismatched dual monitors. They are easy to clean while still having a privacy filter that won't be degraded by cleaning,” says Bagheri. The EN60601-1 Certification means that they meet electrical and radiation safety guidelines for near patient use. Plus, these monitors have an IP65 sealed front bezel allowing for easy cleaning and sanitation. With the 22” and 24” Medical Grade LCD Monitors, there is the option of adding an embedded privacy filter, which is recommended, especially if the computer and monitor will be in use in high traffic, open areas. As with all of Cybernet’s products, it comes with free lifetime phone support as well as strong warranties.